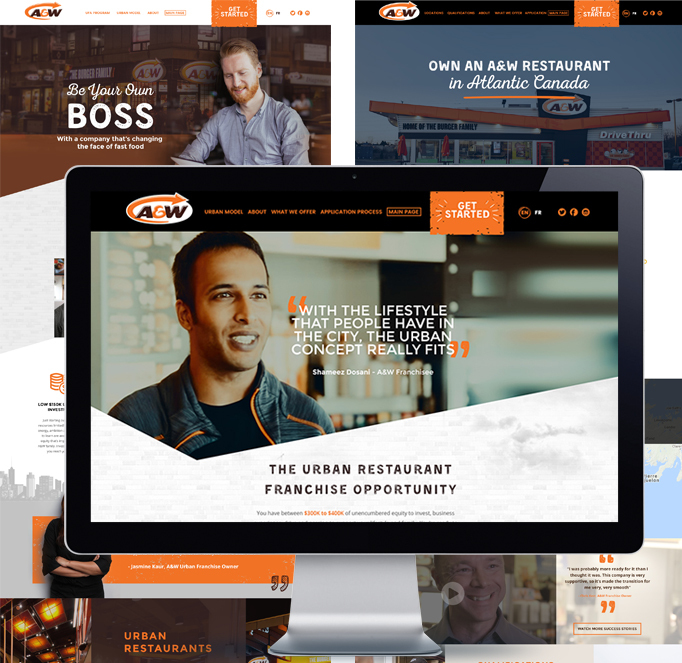 These past 5 months, we have been working on one of our most exciting projects yet; teaming up with A&W on their franchise recruitment marketing. Having sampled more than our fair share of A&W burgers and root beer over the years, we enthusiastically took on the challenge of helping the company expand their reach across Canada! In addition to redesigning A&W’s franchise recruitment website, we oversaw the production of a French and English video that had the video crew traveling across the country to interview A&W franchisees and staff. We are also working on their online marketing strategy and management to help attract new prospects and increase sales.